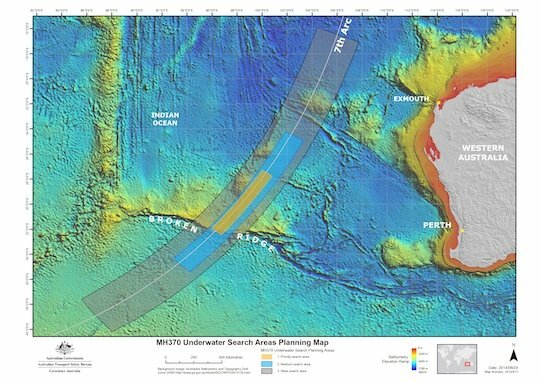 Australia's Transport Safety Bureau (ATSB) has published a detailed analysis of efforts to find Malaysian Airways Flight 370. The 64-page report (PDF) explains that just seven “handshakes” between the plane and satellite systems are being analysed. The analysis is extensive: The UK Air Accidents Investigation Branch, Boeing, Australia's Defence Science and Technology Organisation, Malaysia's Department of Civil Aviation, Inmarsat, the USA's National Transportation Safety Board and Thales have all worked on the available data in an attempt to determine where best to search for the missing 777. “In order to connect to the SATCOM system, the aircraft transmits a ‘log-on’ request on the R-Channel which is acknowledged by the ground station. Once connected, if the ground station has not heard from an aircraft within an hour, it will check that the connection is still operational by transmitting a 'Log-on Interrogation’ message on the P-Channel using the aircraft’s unique identifier. Measuring the difference between actual BTO and BFO and expected values is giving searchers the chance to calculate where MH370 was, as longer or shorter transit times hint at location. But searchers have just seven handshakes to work with and The Reg understands that there are not many tens of bytes in each, so there's precious little data to work with. Handshakes one and seven are of most interest, because both were initiated by MH370. Both handshakes are suspected as resulting from an interruption of power supply to the SDU. The first, perhaps, because of some disruption to power flow. The seventh is suspected as having been made after the craft ran out of fuel and is therefore of great interest to searchers. As a result of all that work, the ATSB has published the map below outlining a new search area.